While CE is adapting the greatest change in engineering ecosystem and is on the verge of adding the primary feather in its crown, light, the true essence of our existence has found its shelter under nano-particle confinement by manipulating the properties of surface plasmon (SP) and topological insulators (TI). Simply speaking, a new form of light has been speculated and gone under review which has been weaved with a single electron, forming a hybrid of combined properties. A group of scientists at Imperial College London has envisioned a new form of light through a single-electron induced SPs, popularly an electron coupled with light, in a nano-particle topological insulator. According to the group, the combo can realize photonic circuits and helps researchers to study quantum physical phenomena, plasmonics and cavity electrodynamics. The team explains, generally, light has been seen to interact with the whole host of electrons present over the surface. However, with the newly designed model, researchers have found that light could be directed to interact with a single electron in certain types of a class of materials known as topological insulators. Following our basic knowledge, we know that light travels in a straight line. But in some conditions, like this one, when the properties of the electron and light is merged together light follows the surface, traces its path where it has been localized. 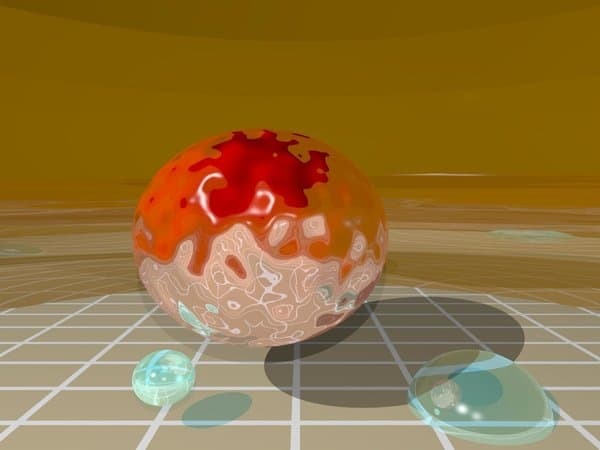 In a lab-grown prototype the team has chosen the target surface to provide the general foundation for interaction which was selected to be a nano-particle, small sphere below 0.00000001 metres in diameter, composed of TIs. The demonstration helped them note the satisfactory result that implied, photons and electron could interchange some informations that ultimately strengthen the offspring. Very unlikely, light followed a circular trajectory by following electrons, on the other hand electrons did not hesitate to mimic some of light’s intellectual properties. Casually, when electrons pass through electrical circuits they stop their journey if they hit a defect. Scientists confirmed that this is not followed in the latest case. Although there was imperfection in the nano-particle’s skin the electrons still traveled without interruption. To the team, the new found results will work as a breakthrough in photonics circuitry and related discipline. The research has been published in Journal Nature.